Find the auto repair experts you’ve been looking for at Flagstaff Nissan! One visit is all it’ll take to see why we’re the perfect dealership to service your Nissan in Flagstaff. We are conveniently located at 4690 East Marketplace Drive in Flagstaff, AZ. Schedule your next service appointment with us online or by calling 888-766-5971. We proudly serve drivers from Flagstaff, Sedona, Cottonwood and the surrounding areas in Arizona. Your local Nissan dealer has a state-of-the-art service center that is equipped with all of the latest technology to keep your vehicle running in top condition. Flagstaff Nissan can take care of all of your service needs including oil change service, brake service, battery service and more. Don’t own a Nissan? Don’t worry, our service team is trained to handle maintenance and service on a variety of different vehicle manufacturers for all of your car care needs. Our team is fast and friendly and here to get you back on the road quickly. Visit your preferred Flagstaff car dealership today for your next auto repair or service. 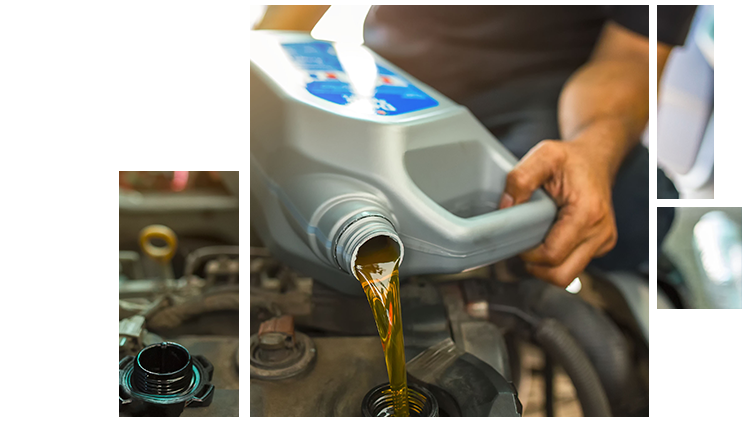 Flagstaff Nissan is equipped to handle all of your oil change needs including conventional motor oil, full synthetic oil and high-mileage oils for all makes and models. Our goal is to give you a quick and professional oil change service with oil filter replacement so that you can get back on the road quickly and safely. If you’re in a hurry, then stop by our express lane for a quick 30 minutes oil change. For even more convenience and to avoid any unforeseen delays, be sure to schedule your service appointment ahead of time. When you bring your vehicle to our Nissan dealership for service or auto repair you can expect nothing less than our professional service handled and managed by our Nissan master certified technicians. It’s this commitment to excellence that keeps us motivated to deliver an outstanding customer service experience every time you visit. If it’s professional auto repair and service you’re looking for, don’t settle for anything less than your preferred Nissan dealer. Visit Flagstaff Nissan today. Your vehicle's brakes are an important part of your car’s overall safety. If you notice any changes in your vehicle’s braking capability then it may be time to bring it in to get checked out by a professional. Our certified technicians can run a full diagnostic and take care of any auto repairs to ensure you get back on the road safely. Don’t risk it, bring your car in today. Your local Flagstaff car dealership can also test your battery to make sure it’s running at optimal performance. Have your headlights seemed a bit dimmer or noticed your vehicle having more trouble starting than usual? You may need to bring your vehicle in to get your battery tested. Getting a diagnostic will help put your mind at ease so you can be sure that there isn’t a more serious problem that needs attention. Catching smaller problems early can also help you save money on more expensive repairs in the future. Making sure your tires are rotated properly and ensuring that they all have the correct tire pressure are extremely important to increase their longevity. This also helps your vehicle maintain a high level of performance. Make our Tire Center your destination for new tires for your Nissan in Flagstaff. We carry all of the best brands including Hankook, Bridgestone, Goodyear, Dunlop, and more. Your vehicle can become misaligned over time, especially with your current tires. Next time you’re in your car, check to see if your vehicle's steering is favoring the left or the right side. If this is happening, it may be time to get your vehicle's alignment adjusted. Having correct wheel alignment is also important to keep other vehicle components from malfunctioning. 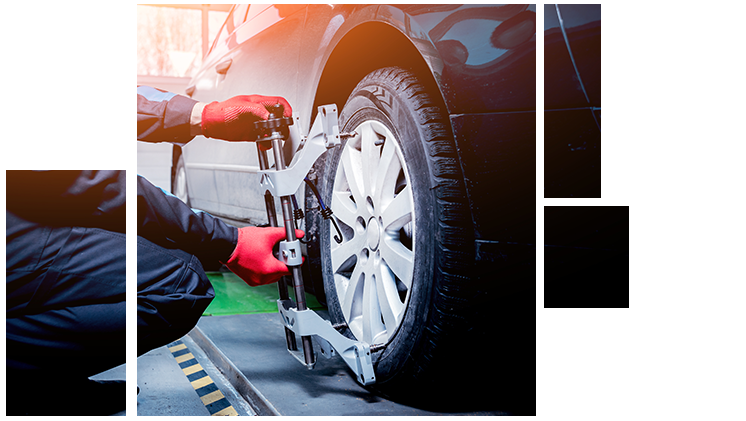 Even if you have purchased new tires, your vehicle will need its alignment readjusted to ensure proper balance for your steering and these new tires. 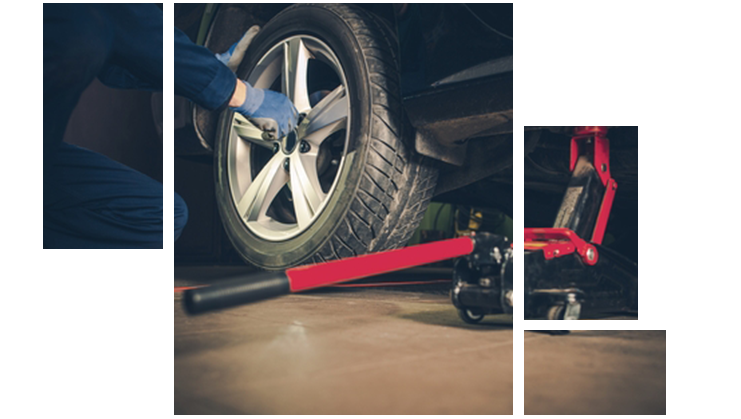 If your wheels are misaligned it can add additional wear and tear on your tires. This may cause them to need to be replaced more regularly and can even cause a flat tire overtime as a result of blown out tire. Protect your new investment with our wheel alignment services today. Flagstaff Nissan is here to help with all of your automotive service needs. Stop by today for your next auto repair or maintenance. You can easily schedule your service appointment online or give us a call at 888-766-5971 to speak with one of our service representatives. Make sure to check online for any service specials we may be running. Flagstaff Nissan proudly serves all drivers in Flagstaff, Sedona, Cottonwood, AZ, and all surrounding areas.